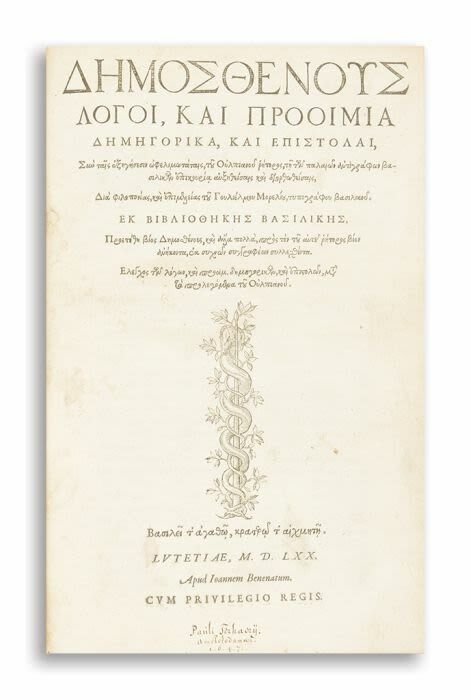 Text in Greek. Preface in Latin. ff. 798, . Few light stains, final page laid down. recent boards retaining earlier calf backstrip. Folio.